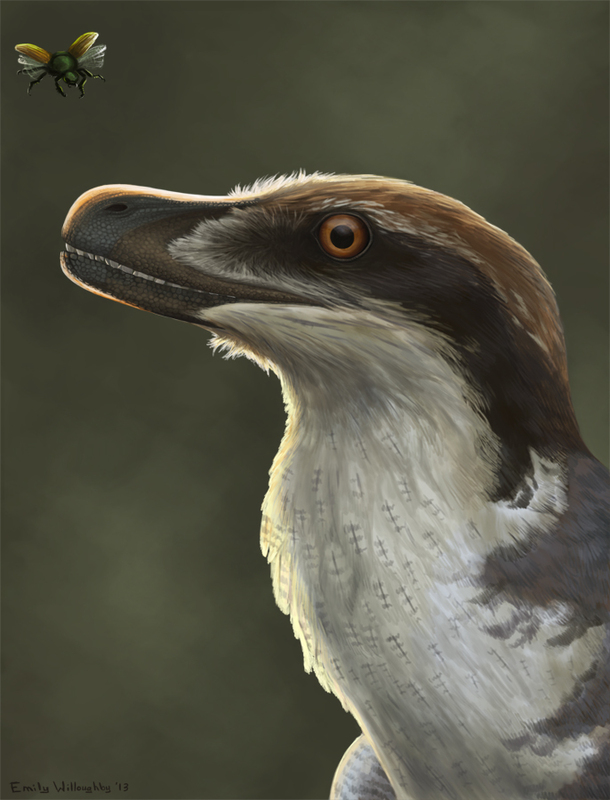 Here's the new Hell Creek velociraptorine dromaeosaur from Evans et al 2013. It's known only from the maxilla and dentary, so I decided to only draw the business end of the animal (that, and I didn't really have the time for a full reconstruction). It's depicted staring at a hispine beetle, of which there is abundance evidence (Johnson et al 2000) from Hell Creek ichnofossils. 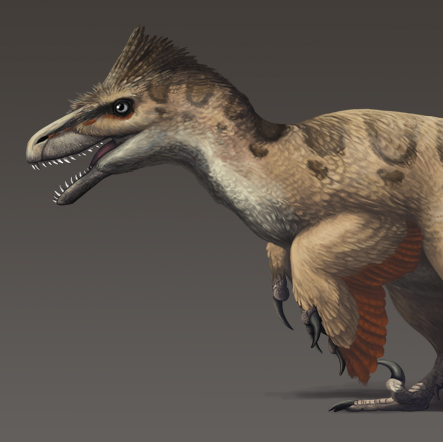 The animal has been known from teeth for many years, and was only recently finally given a name, Acheroraptor temertyorum, after the underworld Acheron of Greek mythology (Hell Creek reference and so on). 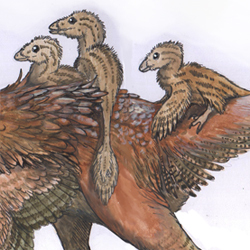 Phylogenetic analysis recovers it as a velociraptorine, the most basal member of the group containing Velociraptor, Adasaurus and Tsaagan. Alternate "lip"less version can be seen here.